Ireland’s Pierce O’Callaghan has received a dramatic late call up to officiate at the Olympic Games in Beijing later this week. O’Callaghan, who is about to take up a job with British Athletics after a stint with the European Athletics Association in Lausanne, Switzerland, was in Beijing baby-sitting his five-month-old daughter Savanagh, while his wife, Tamara, worked for the IOC. 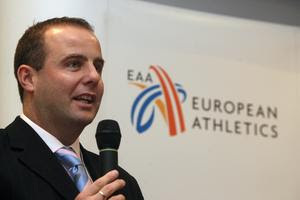 The 32-year-old, who is the only Irish athletics official to have gained the highest level IAAF qualification, has been appointed deputy chief judge for all three race walking events, after a sudden illness suffered by Canadian official Daniel Michaud. 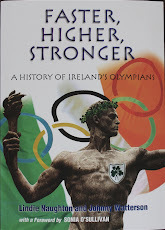 A former international walker from Ashbourne, Co Meath, O’Callaghan achieved the B standard for the Sydney Olympics in 2000 before illness forced a premature end to his career. He subsequently coached Jamie Costin for the Olympics in Sydney and Athens. “I was absolutely thrilled to get the phone call from the IAAF, although it now means a different challenge - getting a baby-sitter while all three races are on!” he joked. Ireland has four race walkers taking part; Robert Heffernan (Cork) and Olive Loughnane (Galway) in the 20km and Jamie Costin (Waterford) and Colin Griffin (Leitrim) in the 50km. Altogether, eight judges will officiate in the race walking events. O’Callaghan’s job will be to inform the unfortunate walkers when they receive warnings from three judges. His wife, Tamara O’Driscoll, an ex-CEO of Cycling Ireland, is a senior sponsorship manager for the IOC based in Lausanne.